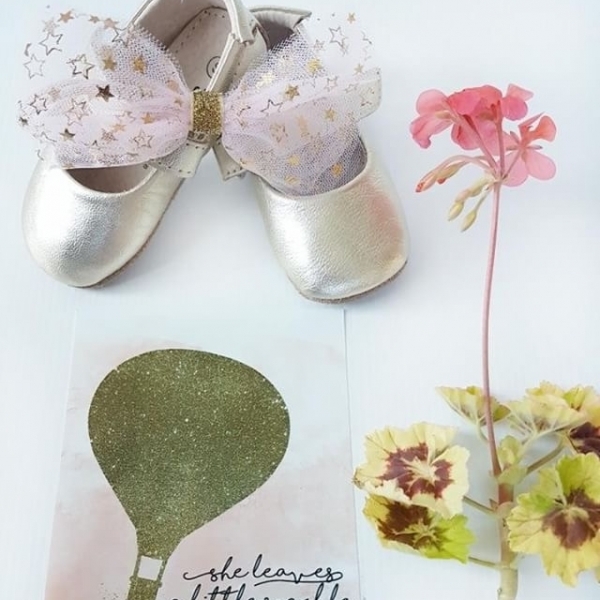 Add a touch of sparkle to your little girls wardrobe with our pretty pastel pink & gold star sparkle tulle bow. 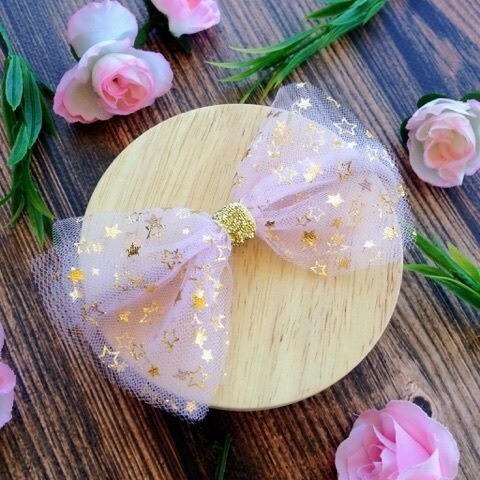 Pink & gold is a stunning colour combination, the pink tulle features gold stars, the bow is finished off with a sparkling gold centre. 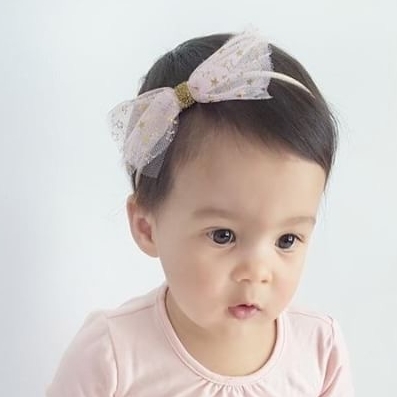 Available on a nylon headband or alligator clip, this sweet bow is the perfect size for little heads, measuring 10 cm wide. Please choose above. Colours: Pale pink & gold.